This is an oval-shaped Southeastern Utilities Service Company porcelain sign. 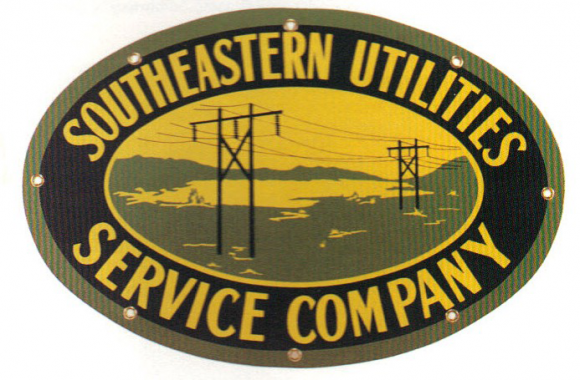 This particular Southeastern Utilities Service Company sign is predominantly black and yellow. It reads, “Southeastern Utilities Service Company” and features power lines against a yellow sky in the center of the sign.